Test which verifies the basic facilities of feComposite. This test uses the following elements: <path>, <filter> <feImage> <feComposite>. 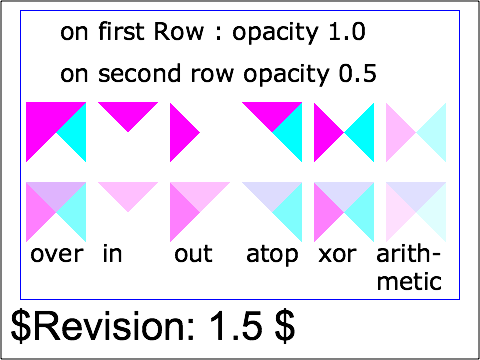 The test case shows six pairs of overlapping triangles depicting the six different feComposite operators. 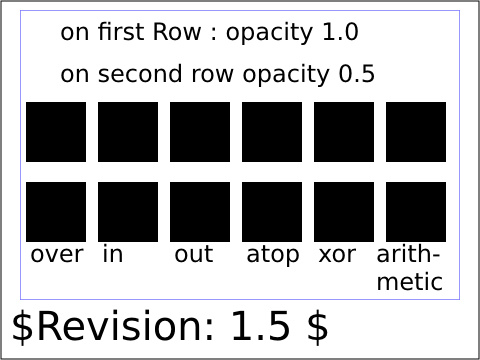 The first row shows compositing when both triangles have opacity=1. The second row shows compositing when both triangles have opacity=.5. The six columns illustrate the six types of compositing operations.